As a certified mediator in South Carolina, it is my pleasure and privilege to help parties reach an amicable settlement of their dispute through mediation. Mediation provides a cost-effective way to avoid expensive litigation costs and attorneys fees, while at the same time helping to reduce much of the stress and emotional toll that the parties would otherwise experience if they continued battling out their case in Court. This article explains some of the basic principles and procedures involved in mediating cases in South Carolina. In mediation, the parties to a dispute or lawsuit discuss the case with a neutral mediator, usually an attorney, who attempts to assist the parties in arriving at a settlement. The mediator does not make decisions, but rather acts as a facilitator to help the parties find common ground and make their own decisions in the matter. Mediators often say that they “don’t have a dog in the fight” or that they only “represent the deal”, because the mediator’s job is not to advocate on behalf of anyone at the table, but instead to remain completely neutral as the parties work through their differences with the mediator’s help. The mediator will typically meet with the group as a whole to allow everyone to state their positions and concerns in the case, and the mediator will then meet with the parties individually in “breakout” sessions to further discuss the matters raised at the group meeting. These individual discussion sessions are designed to allow each party to confidentially discuss matters important to them in the case, so that the mediator can begin to determine the shape and scope of a possible settlement. The mediator will not reveal confidential disclosures or discussions to the other side unless the mediator is given express permission to do so by the party who made the disclosure. How long does the mediation conference last? Mediation conferences can last a few hours or multiple days, depending upon the complexity of the matter. The mediation comes to a conclusion either by the parties reaching a settlement, or by the parties reaching an “impasse” point where no further discussions would appear to be worthwhile or productive. Even if the parties reach an impasse point and the mediation is adjourned, most mediators will still reach out to the parties in the days and weeks thereafter in an attempt to break the impasse and jump-start the negotiations. Sometimes, all the parties need is a “cooling off” period following an impasse in order to see that their differences might not so insurmountable after all. What is the difference between voluntary and court-ordered mediation? The parties can voluntarily agree to mediation, or the Court may order mediation. Mediation is in fact now mandatory in most types of lawsuits filed in South Carolina, meaning that the parties will be required to try to resolve the case through mediation before they are permitted to proceed to trial. Mandatory mediation has been adopted in part because it helps to reduce the caseload of the Court by having more cases settle without the need for a trial. The parties to voluntary mediation mutually choose their mediator. In court-ordered or mandatory mediation, the parties are given the opportunity to mutually agree on the mediator, but if they cannot agree on the mediator the court will appoint one to hear the matter. Currently, court-ordered mediation must be completed within 300 days of the date the case is filed with the Court (ADR Rule 5(f)), although the Court will usually allow for an extension of that deadline if the parties submit a scheduling order to which they have all consented. Where does the mediation conference take place? Who pays for mediation? Mediation is usually conducted in the mediator’s office, or in the offices of one of the attorneys involved in the dispute. 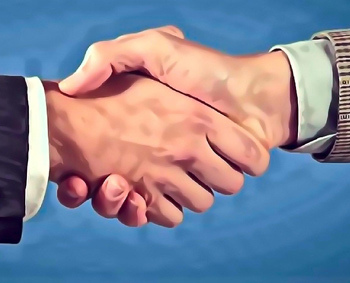 Typically, the parties to voluntary mediation agree to evenly split the mediator’s fee. In mandatory mediation the costs are likewise evenly split between the parties. Does the mediator require any type of certification? In order to conduct court-ordered mediation conferences, an attorney must be certified as a qualified mediator by the South Carolina bar. For voluntary mediation, the parties are free to choose a non-certified arbitrator, or even a non-attorney, to mediate the case. Given the complexity of many legal issues, however, the parties will usually attempt to agree on a mediator who has substantial experience dealing with the type of claim or case being mediated.